As real estate agents, you have a unique insight into one of the most taxing aspects client's face when they buy a new home. 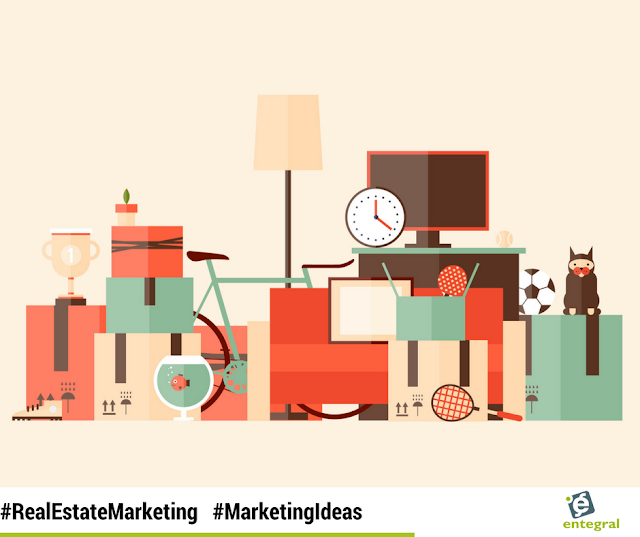 Buying a home is already a stressful event and all the packing and organising can add to the stress levels. This creates a great opportunity for real estate agents to set themselves apart from the rest - help your clients solve some of the biggest headaches and you’ll be creating loyal brand advocates and clients! Firstly, before the move even starts, go right back to the beginning. Declutter the home before listing the house will not only lighten the load later but will help when taking the listing photographs and also help prospective buyers easier imagine their own possessions in a space. Help your clients by suggesting selling some of their unwanted things. The money raised can help cover moving costs! There are many platforms to help people sell their items - from dedicated advertising sites like Gumtree to community pages of Facebook. They will be able to sell their things without having to spend more money. Make sure to tell them to wash and clean all items to make them more attractive to prospective buyers! While you are doing this create the sell, keep and donate piles. Give them the names of some charities in the area that would take their donations. Now is also a great time to pack those things that they won’t be using before the move - like packing away winter blankets and clothes. Once all the clutter has been moved out, suggest a cleaning company that you have worked with before or comes with a great reputation to come in and clean the house from ceiling to floor. Doing it now will not only save some time closer to the move but will also create an appealing space for potential buyers when they view the property. For many people the running around trying to find boxes or moving companies can be exhausting with all the other things going on. Help out by giving them recommendations for the services they might need during the move. If you have networked with businesses in the area, recommend their services. If your budget allows it you can even buy a few boxes to get them started - even better if you can brand the boxes! Going the extra mile for your clients by helping them solve a bit of the moving headache will ensure that they return in the future or recommend you to other people ready buy or sell their property.